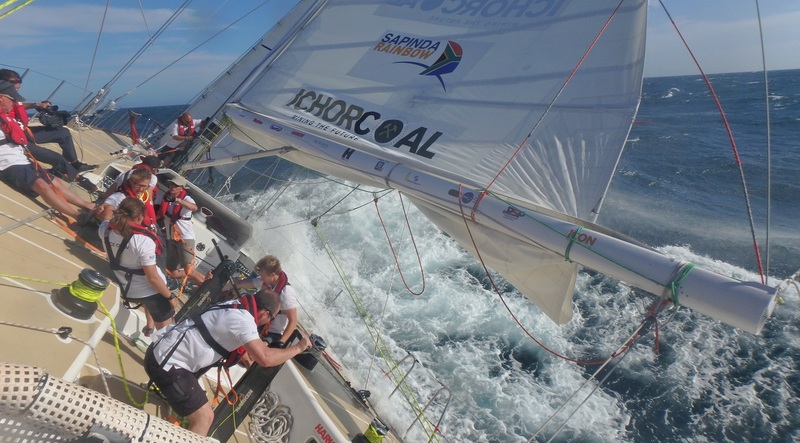 On day two of showcasing each Clipper Race team’s highlights we feature IchorCoal. 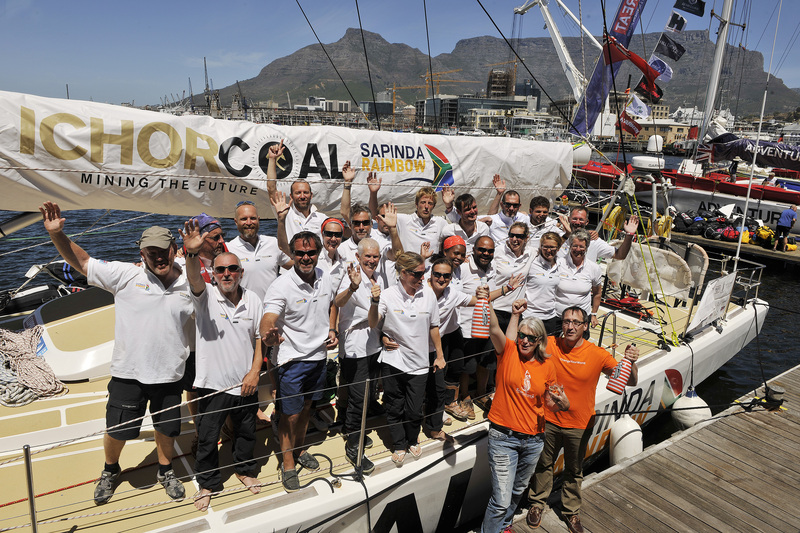 The strength of spirit and sense of togetherness displayed by the IchorCoal crew throughout the Clipper 2015-16 Race touched the hearts of race followers and supporters worldwide. From day one the crew decided their team theme was to be ‘love.’ This was embodied by signing off every single crew diary with ‘Love IchorCoal’, by the Sapinda Rainbow Ambassador crew who brought unique energy into the team on each leg, and by how they pulled together to continue the race after the two most tragic events in Clipper Race history, the feeling of love and team spirit shone brightly onboard IchorCoal. In one of the final crew diaries of the circumnavigation, Trudy O’Donovan paid tribute to her team mates and expressed the special bond she felt amongst the IchorCoal crew. “I am privileged and honoured to be part of the wonderful team Ichorcoal - what an amazing bunch of people! We have been through a lot during this race, lost two teamies tragically (RIP Andy and Sarah), a few more have had to retire due to injury and illness, there has been a change of skippers, and yet throughout it all we have stuck together, supported each other and above all have laughed and had fun, fun, fun. A bond has been created that I don't think will ever again be replicated, a new family of friends for life. On the racing front, following the diversion to Portugal during Race 1 after the loss of Andy Ashman, the IchorCoal crew continued the race to Brazil on elapsed time and, showing their competitive edge, managed to leapfrog half of the fleet to finish sixth into Rio. Given all the team had been through it was unsurprising that there was an overwhelming response to their courage and race supporters of all teams got behind the IchorCoal crew as they picked up the maiden Stormhoek Social Spirit Award. 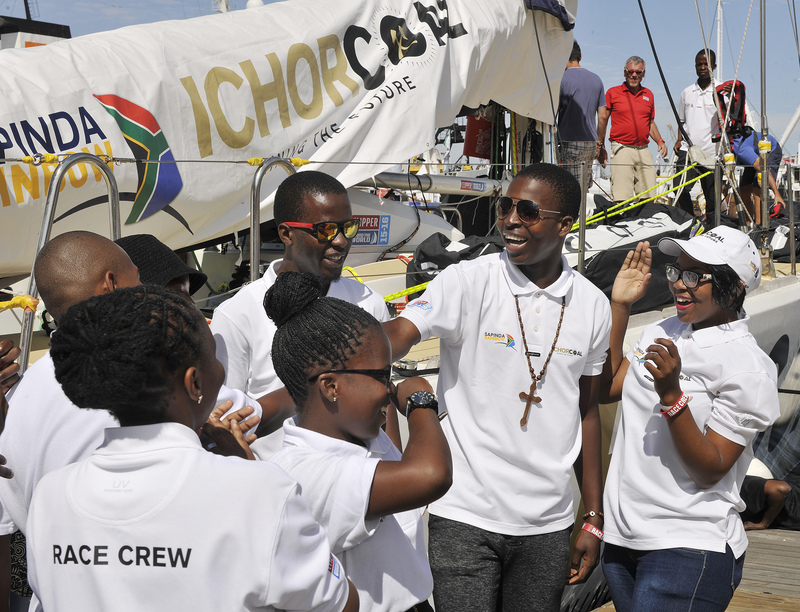 As the South African sponsored entry, a highlight for the crew was always going to be racing to Cape Town where the Team Sponsor IchorCoal and crew members from the Sapinda Rainbow Foundation assembled to welcome the team into its home country. Although they didn’t manage the home port victory, IchorCoal’s enthusiasm to get there was evident in its impressive Ocean Sprint performance which saw the crew pick up its first two bonus points. Throughout the circumnavigation South African based charity for underprivileged young people in the country’s townships, the Sapinda Rainbow Foundation, selected ambassadors to take part in a relay team. Many of the youths aged 18-23 had never seen the sea before flying to the UK for their Clipper Race training, never mind sailed a racing yacht or travelled outside of their country. The race provides a platform to help the ambassadors develop leadership and life skills that can be taken back into their communities and also inspire others. On board for the final leg from New York to London was 22 year-old Sakhile Khulekani Makhanya from Matubtuba, KZN. After completing the 4,800 nautical mile journey Sakhile, whose nickname is King, reflected the views of many of his team mates, that the race has helped him grow in confidence and self-belief. “I have learnt a lot on the boat and I have met different people from different backgrounds, I have a bond with the team, I am proud of them and proud of me. People have told me I am clever and that I need to use the brains I have to be a successful person, my response to them is that I will do that. During the race from South Africa to Australia, Skipper Darren Ladd’s creative writing skills began to shine as he kept race followers entertained through his tales of a pet goat in the lazarette and koalas in the sail loft in his daily Skipper blogs. However the highlight for most was his unrequited love affair with ‘Donald’, as he renamed the Stormhoek Wines Siren image printed on the Mainsail. His cult-like readership grew as Darren gave daily insights into the developing romance. Day 15: “I think the Stormhoek lady on the mainsail is warming to me, I'm sure I saw the corner of her mouth curl into a slight smile. The conversation on anchors has dried up, so I move on to appropriate gowns for the Southern Ocean. I even wear one of my favourites to the midday meeting, but nothing. I ask her name, and Donald is whispered on the wind. Umm Donald, nice, it suits her. While things never quite worked out with Donald, Darren’s blogs continued to entertain race followers until his departure in Seattle following the tragic loss of Sarah Young. Skipper Rich Gould, who had previously led the Invest Africa crew around the world in the 2013-14 race, stepped in for the final two legs. IchorCoal saved the best result till last, finishing in fifth place into London in Race 14 from Den Helder. The final leg also saw them pick up their first Scoring Gate points of the race from New York to Derry-Londonderry. As a result, the team finished the circumnavigation in eleventh place, six points ahead of nearest rival PSP Logistics. To the team of IchorCoal and Skippers Darren and Rich, we thank you for your resilience and courage, the laughs and the tears and for inspiring us to fulfil our dreams even when faced with adversity. We’re talking to you Ann Adams, Sara Ashby-Arnold, Elliotte Ashcroft, Matthew Berry, Gary Bransgrove, Kate Broughton, Adrian Carey, Colleen Carstens, Nick Clayton, Mike Crawley, Sophie Crocker, Rob Davis, Emma Dixey, Chris Drummond, Karim El Shabrawy, Larry Garner, Tony Griffiths, Elle Hadshar, Michael Hann, David Hartshorn, David Hollick, Nicolette Horak, Harry Jarman, Stephen Jones, Ian Kamcke, Victoria Larrad Rahkonen, Gordon Lawson, Sean Lee, Thulisile Lekalake, Sewisa Magane, Boitumelo Maila, Khulekani Makhanya, Sakhile Makhanya, Priscilla Marsden, Marston Manthorpe, Lerato Masombuka, Ian May, Denis Mccourt, David Morgan, Rveida Mthethwa, Andrew Murden, Zanele Mweni, Erasmus Nel, Siphamandla Ngcobo, Trudy O'Donovan, Matthew Ogg, Jamie Pearson, Brian Peebles, Natasha Pettigrew, John Rafferty, Bruce Rogerson, Rick Schwab, Emma Sinclair, Charles Stannard, Katarina Svedjefalt, Louise Thomas, Simon Timm, Elizabeth Tricks, Toby Virno, Davina Watson, Rowaine Waldhausen, Judith Waugh, Greg Willis and Clare Winter. Congratulations to all of you! Gone but never forgotten Sarah Young and Andy Ashman, you will forever be a part of the Clipper Race family.